I did purchase 1Password5 from iTunes on OS X, then upgrade to 1Password6. It was ok so far. Now I have upgraded to 7 from AppStore. To restore my license I've been asked to install it from the website. So I have installed 1Password7 from the website, and 1Password6 has been uninstalled. I have created one 1Password account on the website but my wallet does not appear. Now 1Password7 is in read-only mode, and to restore the license, it asks for a file, which I don't have! Also I have subscribed for 1 month free but I cannot even load my details. Both "cancel" and "submit" buttons do not work. Hey Frédéric, I'm sorry for the trouble! 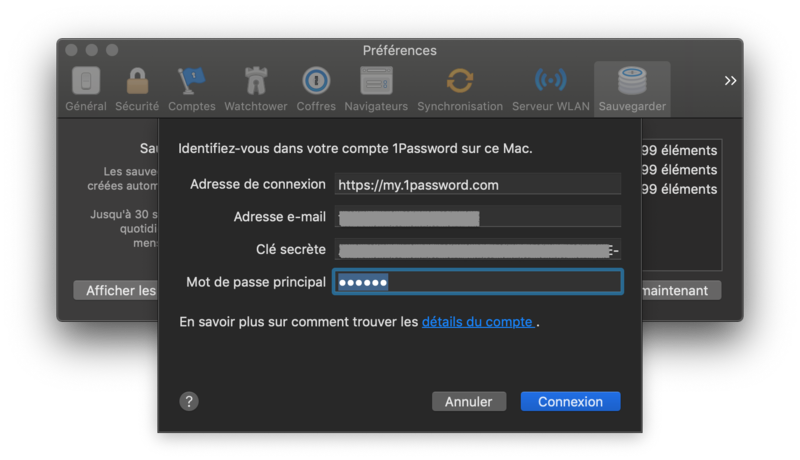 1Password 7 is a paid upgrade from 1Password 6, which would require a new license purchase, or a subscription to a 1Password membership. It sounds like you decided to subscribe to an account (good choice!) - I'm sorry to hear that you can't sign in. As we'll need to talk account details could you send us an email to [email protected] from the email used to sign up for the account? Please include a link to this forum thread, and reply here with your Support ID that you'll receive in an automated email. That'll help us connect the dots. This is the worst bait and switch, in 2013 1Password promised free updates and now we're stuck having to subscribe. When you purchase AgileBits software your license will never expire and you can use it on the current version of the licensed application indefinitely. While the license itself will never expire, system updates from Apple could cause certain aspects of some software to stop working. For example, the Safari 5 upgrade stopped 1Password 2 from working correctly and required an updated version of 1Password. Historically, AgileBits has been very generous with upgrades. Your purchase entitles you to free updates until the next major version upgrade. That means if you buy a license for version 2 of a product, you will get all 2.x releases for free, but upgrading to version 3 might require another purchase. Please note that this upgrade policy is valid only for software sold and distributed directly by AgileBits. This policy is not applicable to software sold by other distributors, including the Mac App Store, iTunes App Store and Android Marketplace. Also note that you are not forced to subscribe, you can buy a stand-alone licence. And if your old licenced version still works you can continue to use it, including reverting to the old version if you have upgraded and don't want to pay.